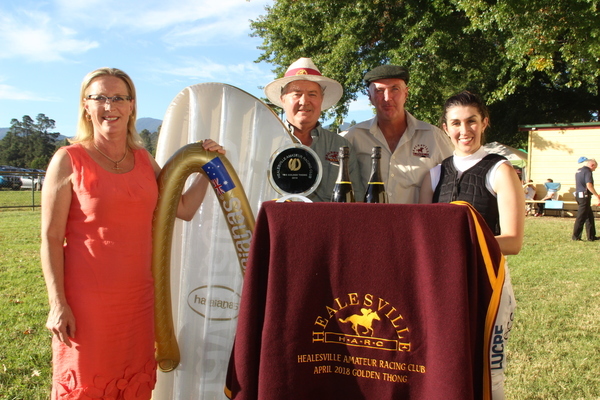 Eildon MP Cindy McLeish presented to the winning jockey of the Golden Thong, Courtney Pace, pictured with HARC President David Purcell and committee member John O''Neill. 179646_01. Pictures: Kath Gannaway.